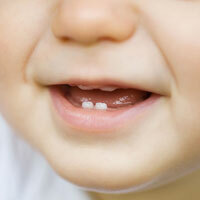 Kidsmile Pediatric Dentistry is accepting new patients. The American Academy of Pediatric Dentists recommends that a child’s first dental visit occur on or around their first birthday. If your child is being referred from another office, our dentists will perform a comprehensive exam on your child and discuss with you any recommended treatment. Treatment will not be performed at the initial appointment. Once you make an appointment at our office, that time is exclusively reserved for your child. If, for some reason, your child can no longer make their appointment please call us with 24-hour notice so that we can reschedule the appointment. For your convenience and to facilitate the processing of your dental insurance, please complete and bring the new patient forms to your appointment along with a valid photo ID, current insurance card and any records or x-rays available from your prior dentist. Our office requires that the custodial parent or legal guardian accompany the patient to the initial appointment. If you are the legal guardian, you must provide legal proof of guardianship. If documentation is not provided, we will not be able to honor the appointment time and it will be rescheduled. We encourage parents stay with their child throughout the dental appointment; however, if bringing additional children to the appointment, we kindly ask that parents remain in the reception area. This enables our team to provide undivided attention to your child. Payment is expected at the time services are rendered. For your convenience, we accept cash, checks, Visa, Discover, American Express, MasterCard and offer Care Credit Financing. If your child is covered by a dental benefit plan, our staff will work directly with your insurance company to maximize your dental benefit coverage.